Federal recognition of the Pamunkey tribe in 2015 opened the door for the tribe to offer some form of gambling on the reservation, or on lands acquired later by the Pamunkey, under the Indian Gaming Regulatory Act. That led to the 2019 General Assembly ordering a study of casino gambling in Virginia, a precursor to anticipated approval in 2020. The Tribe may not conduct gaming activities as a matter of claimed inherent authority or under the authority of any Federal law, including the Indian Gaming Regulatory Act (25 U.S.C. 2701 et seq.) or under any regulations thereunder promulgated by the Secretary or the National Indian Gaming Commission. The US Congress passed the Indian Gaming Regulatory Act in 1988, once year after the US Supreme Court ruled in California v. Cabazon Band of Mission Indians that states could not prohibit gambling on reservations of Federally-recognized tribes unless the state prohibited all forms of gambling. States with a lottery, or which authorized bingo, had to negotiate some deal with tribes that wanted to open casino-style operations. The law defined traditional behavior at tribal ceremonies as Class I gaming, including prizes for individuals and groups. Class II gaming included bingo and card games involving skill, such as poker. Class III gaming included slot machines and games of pure chance, such as craps, baccarat, and roulette wheels. By creating three classes of gambling, Congress increased the leverage of both tribes and states. 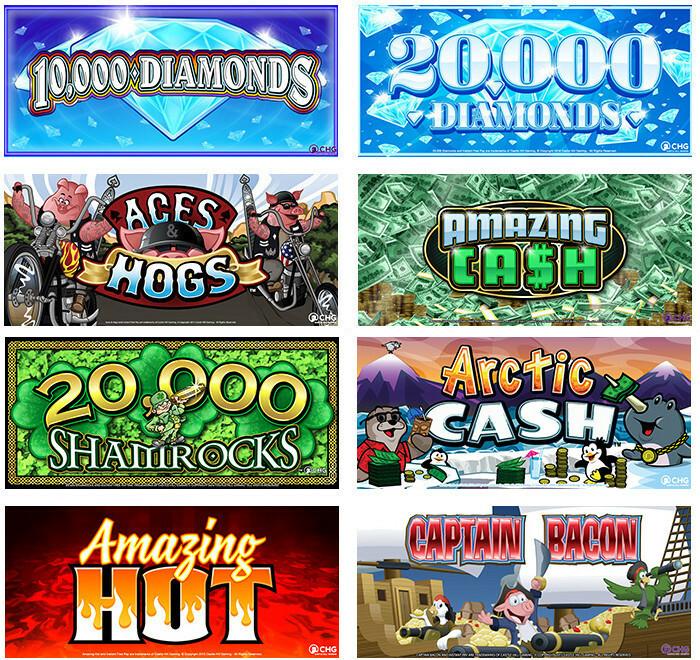 Class II operations requiring some level of skill by the gambler, including bingo and poker, can generate substantial revenue. However, the Indian Gaming Regulatory Act required tribes to get a Class III license before offering games involving pure chance without any level of skill, such as the pull-the-handle-and-see-if-you-won slot machines so common in Las Vegas. Class III gambling offered the potental for higher profits. The Federal law required a state and tribe to negotiate a joint "compact" before a tribe could offer Class III games. State officials were given the power to block tribes from offering the more-lucrative Class III gambling opportunities until tribes agreed to some sort of deal. 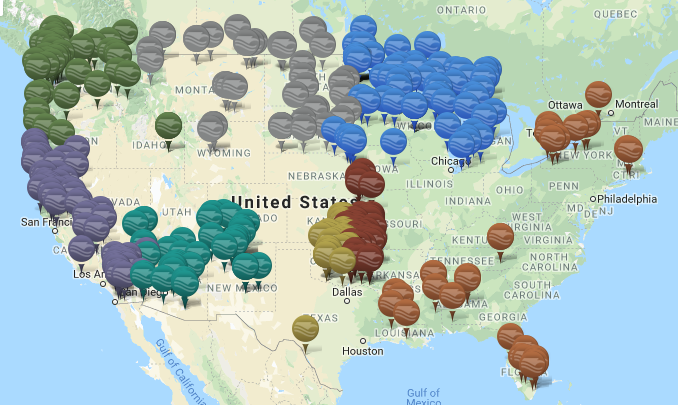 In exchange for state approval and the opportunity to provide a full gambling experience, tribes might bargain over where casinos will be located, and agree to share gamblig profits with the state. The law was also designed to allow tribes to sue states and force them to negotiate and ultimately agree to a compact authorizing a Class III license. The ability to force action by a sovereign state was blocked by a Supreme Court decision in 1966, but technology has offered ways to blur the lines between Class II games of skill and Class III games of chance. Virginians have taken their gambling business out of state to Charles Town in West Virginia, the MGM casino at National Harbor in Maryland, or more-distant locations. West Virginia has five casinos, Maryland has six, Delaware has three, Pennsylvania has 12, not to mention Atlantic City and Las Vegas. The tribe did not expect customers to drive for almost an hour on narrow, two-lane roads from I-64 to the current reservation. The Pamunkey first announced that they proposed building a $700 million casino, hotel and spa elsewhere in eastern Virginia, working with private partners who would provide the needed investment capital. The Pamunkey planned to work with the Middle Peninsula Planning District Council to find a site on territory that was formerly within Tsenacomoco, and where local governments would support economic development based on gambling. A casino at the Exit 205 interchange would place a Pamunkey-based gambling center in direct competition with Colonial Downs, about 10 miles east on I-64 at Exit 214. Prior to the Pamunkey's announcement about their casino plans, the 2018 General Assembly had loosened restrictions on video gaming at the former racetrack. Colonial Downs has one flaw that its new owner will never be able to remedy: It was built in the wrong place. Those of us who are involved in racing contended from the very beginning that New Kent County was not the place for the state�s first racetrack. Virginia�s thoroughbred industry is in Northern Virginia, primarily Fauquier, Clarke and Loudoun counties. That�s where the track should have been built. Wherever the Pamunkey casino and resort might be located, the political approval process will involve Federal, state, and local officials. 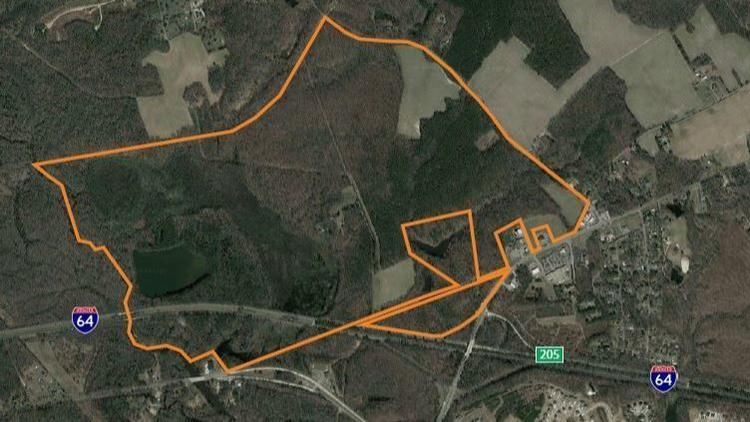 New Kent County would benefit from a casino at either Colonial Downs or on the Pamunkey's nearby land. There could be local support for authorized gambling at both sites, but county officials could decide that only demand is limited and only one site will be economic. The county could choose to support just one facility, either re-opening Colonial Downs or building a new resort. The preference of New Kent County officials for gambling at Colonial Downs over a casino owned by the Pamunkey Tribe was clear when the county organized a public meeting in May, 2018. Racetrack officials discussed how they would reopen in 2019, with historical horse race wagering machines. No Pamunkey were invited to present their proposal. Instead, the county hired a law firm not associated with the tribe to discuss the regulatory process through which Native American gambling could be authorized. When the discussion switched to the Pamunkey tribe�s casino plan, the tone turned more fearful, with much of the conversation focused on what New Kent could do to fight the project. We only want to go where we are welcome. The preferred location was revealed in late 2018 to be a site in Norfolk, next to Harbor Park and the Amtrak station. The tribe's financial backer, real estate developer Jon Yarbrough, planned to purchase 20 acres for a $700 million hotel, casino, and resort project. The authority of the Pamunkey to build a casino there required convincing the Department of the Interior to take that land into trust for the tribe. To get the Federal agency to take that action, the Pamunkey needed to prove that the Norfolk area was part of its ancestral lands. When the English colonists arrived in 1607, the area on the Elizabeth River was control of the Chesapeake tribe. The paramount chief, Powhatan, seized their territory around that time Jamestown was founded and added it to Tsenacommacah. 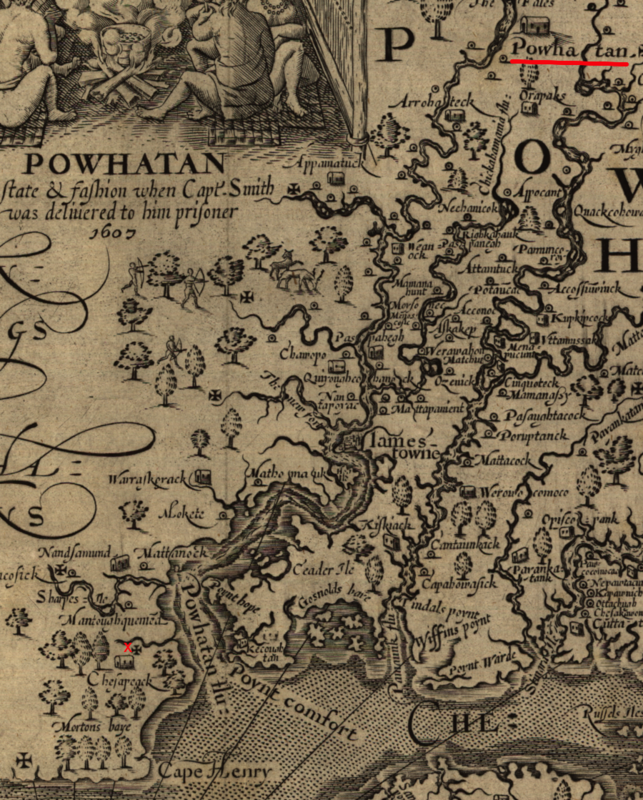 Powhatan was born into the Pamunkey tribe, so their claim to the Norfolk area was based on conquest. The Pamunkey had traditionally lived north of the Pamunkey River, so the casino was not near an ancestral town. Kevin Brown, who was the chief of the tribe before Gray, called the claim that Norfolk is ancestral Pamunkey land "a long stretch." "We weren't down there," he said. "We had dugout canoes and we went down the York River. We probably had excursions down there." The Nansemond tribe is the state-recognized Native American group living closest to the Elizabeth River. When Virginia returned the bones of the Chesapeake bodies which had been excavated at Great Neck in Virginia Beach, the remains were given to the Nansemond. As soon as the Pamunkey proposed placing a casino in Norfolk, the Nansemond tribe objected. Their process for Federal recognition was different than the administrative route used by the Pamunkey. The Thomasina E. Jordan Indian Tribes of Virginia Federal Recognition Act of 2017 blocked the Nansemond from engaging in gambling, but the tribe still considered Norfolk to be within their historic territory. ...we request to be included in any future discussions regarding a resort casino and spa in Norfolk. This is our ancestral land, our community, and the foundation for our future. Indian gaming politics are especially complicated if the site is not located within the boundaries of the reservation of a Federally-recognized tribe. In Connecticut, plans by the Mohegan and Mashantucket Pequot tribes to build an off-reservation casino were blocked by top officials in the Department of the Interior in 2017, apparently after lobbying pressure applied by competitor MGM Resorts International. The Bureau of Indian Affairs staff had endorsed the project, but final Federal approval was not granted. MGM has a history of trying to block the Department of the Interior from granting Federal recognition to the Pamunkey prior to 2015, and MGM's casino at National Harbor might provide enough economic reason to interfere with the Pamunkey's plans. Promoters of casinos highlight projections of new employment and tax revenues. A 2015 report on potential casino gambling at Hampton Roads noted that claims can be overstated, in part because expenditures at casinos by local residents will divert money that would otherwise be spent in the same geographic area for other goods and servces. A Virginia casino would generate new revenue primarily from customers who lived outside the state and traveled to the casino. It could also capture revenue now being spent by Virginians who travel out of state to gamble in west Virginia, Maryland, New Jersey, etc. A location in Hampton Roads could attract out-of-state customers from North Carolina, but might not attract people who live north of Richmond and drive to the MGM National Harbor casino. If a dollar spent at the casino represented one dollar less spent at the Patrick Henry Mall, or at the Virginia Beach oceanfront, then there would be no net new tax collections at all. The key, then, would be to attract gamblers from outside of Hampton Roads. A group in Bristol had the same idea as the Pamunkey in 2018, and proposed a casino in a shuttered shopping mall near the Tennessee border. Key conservative Republicans who represented the area in the General Assembly endorsed the proposal. Though religious leaders in the area complained, the legisltors saw a casino as a rare opportunity to create tourism-based jobs and increase tax revenue from visitors. After Bristol revealed its plans, Danville business leaders then proposed a casino in their area. That city hoped to draw customers from across the border in North Carolina, and to re-start a local economy that had been heavily damaged by the decline in manufacturing jobs since the 1980's. This is Danville�s Amazon... This is Southside�s Amazon � 7,000 jobs at much less cost than what it cost Virginia to attract Amazon. This is an attack on the Bible Belt... I don�t think anybody in their right mind could say if we get a casino we�ll be safer, we�ll be happier, families will do better, there will be less suicide, less divorce. The momentum from the Pamunkey proposal clearly spread, with legislators recognizing that their areas could benefit if gambling restrictions were altered. No Native American tribe was associated with the Bristol, Danville, or Portsmouth proposals. The Pamunkey could lose business to competitors, or find that greater competition/advertising for casino gambling in Virginia expanded the total number of customers rather than diminished whatever gambling business they initiated. Advocates of the Bristol casino proposal recognized that the region could support only one casino. 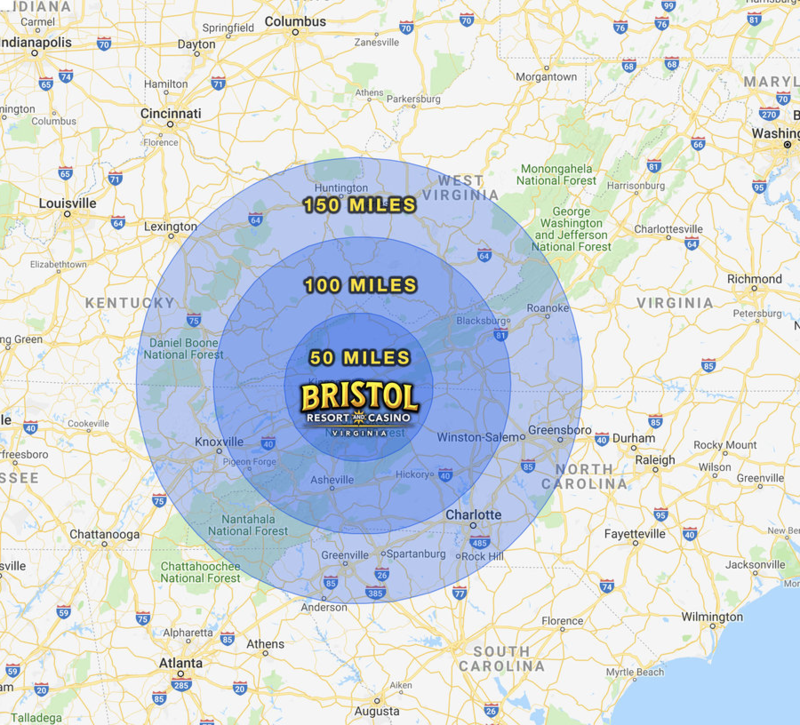 Bristol was not Las Vegas; business at a casino in Southwestern Virginia would come predominantly from people living within a one-day drive. The casino planners feared that a legislature in an adjacent state would authorize casino gambling before Virginia, and the first casino would also be the last casino in the area. The Eastern Band of the Cherokee opened its first casino on the Qualla Boundary in 1997. It built a second casino in Murphy, North Carolina, in 2015. That facility was desined to attract customers from Atlanta, Chattanooga and Knoxville. The threat in 2019 came from Jenkins, Kentucky. Betting on horse races was already well-accepted in Kentucky. Bristol's leaders feared that the Virginia legislature would debate casino approval while Kentucky's legislature authorized one. Jenkins was located west of Pine Mountain, a 90-minute drive from I-81. Access to the Bristol casino would be far easier for most customers. If Tennesssee authorized a casino, the competitive threat to Bristol would be much greater. If somebody opens a casino in Kentucky or Tennessee, then I think our opportunity evaporates. In 2019, the General Assembly approved a study of casino gambling. The anticipated 2020 bill to come from that study would authorize local referenda in Bristol, Portsmouth, Danville, Norfolk and Richmond. Voters would have to approve casino gambling, and only one casino would be allowed in each city. The Pamunkey tribe had supported an earlier version that would have authorized casinos only in cities with at least 200,000 people. That constraint would have eliminated Portsmouth (with less than 100,000 people), blocking the possibility of a second $700 million casino, hotel and conference center in Hampton Roads that might compete with the Pamunkey's plans in Norfolk. The committee modified the bill to specifically authorize Portsmouth, and also allowed the Pamunkey to build a casino in either Norfolk or Richmond. The state would receive 10% of the Pamunkey's revenue for authorizing Class III gaming. It�s been 25 years coming! Then the Senate Finance Committee applied the brakes and delayed action for a year. It required the Joint Legislative Audit and Review Commission to complete a study of the impacts of casino gambling, and no local referendum would be authorized unless the 2020 General Assembly approved. The 2019 session was a "short session" of just 47 days, and legislators were not comfortable that they understood the unintended consequences that might come with approval of casinos. That delay gave opponents more time to organize. Advocates of a casino in Danville argued that it could generate new business activity by attracting visitors from North Carolina (Greensboro, Raleigh, Durham, Chapel Hill, Charlotte) and other sites in Virginia (Lynchburg, Roanoke, Martinsville), but a local member of the General Assembly said that the city was being "used" by those seeking a casino elsewhere. When you get a casino in Danville, you are in a sense saying, "I give up."